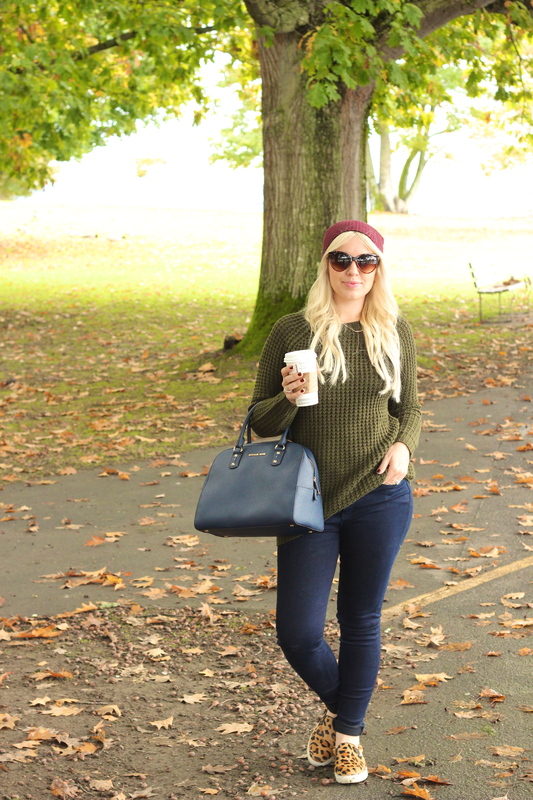 Fall Basics - Lovely Blonde Closet "
Today’s post is all about my favorite fall basics and the simple pieces that can be worn so many ways over both the fall and winter seasons! 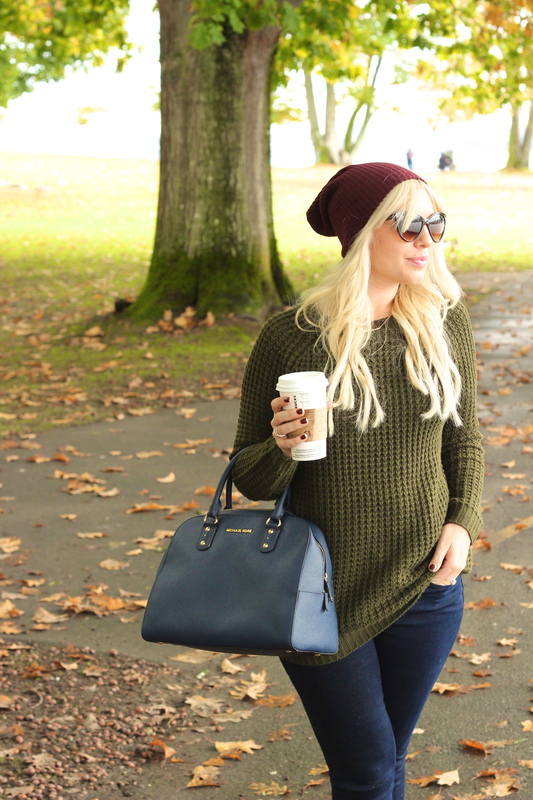 A basic knit sweater is a must in any wardrobe and this one is the perfect piece for layering. I can’t wait to put a chambray or plaid button down under, or wear a faux fur vest on top to change my look. 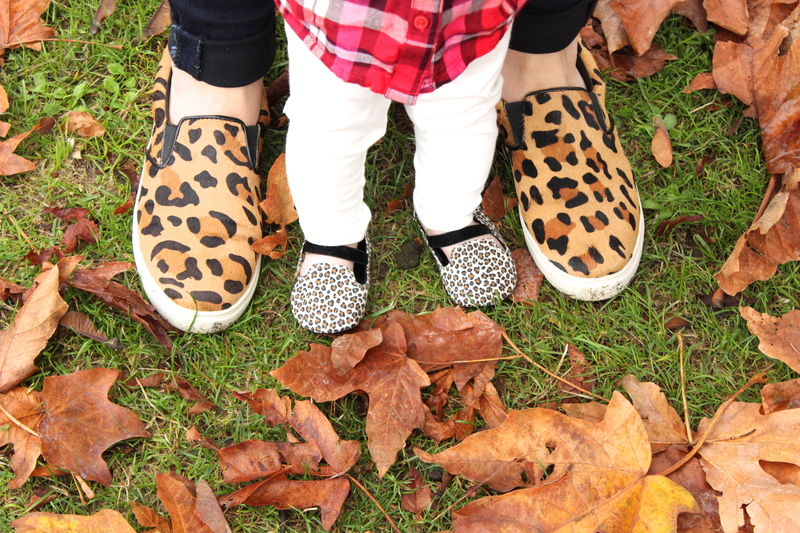 My next favorite basic are these ah-maaaze leopard slip-ons by Steve Madden. I had my eye on these for the last couple of months and since purchasing them, have hardly taken them off! These are a great neutral for any casual outfit! 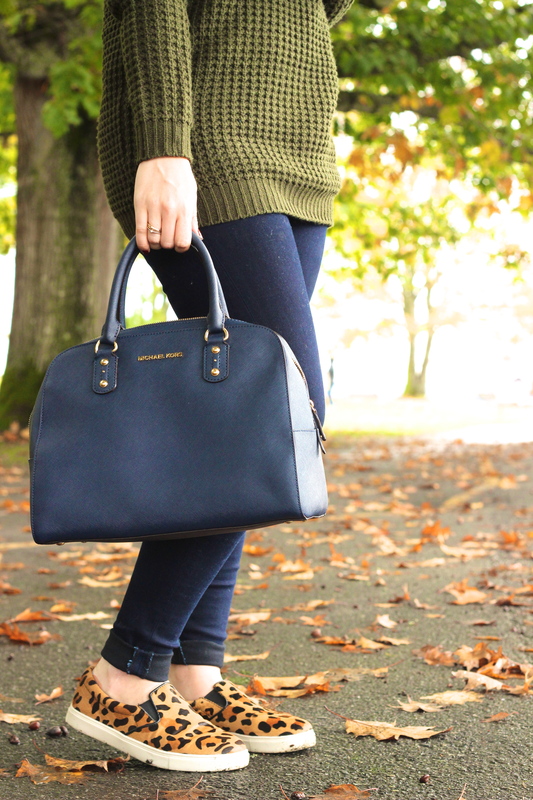 In Seattle I paired them with some faux leather tights, a big cozy sweater and a scarf for a day of shopping and I couldn’t have been more cozy and comfortable while still looking chic. 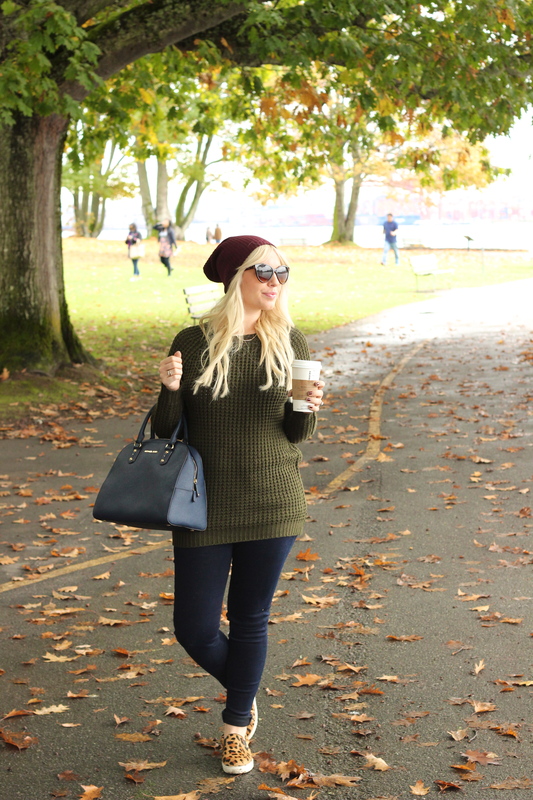 What are some of your favorite basics for fall? 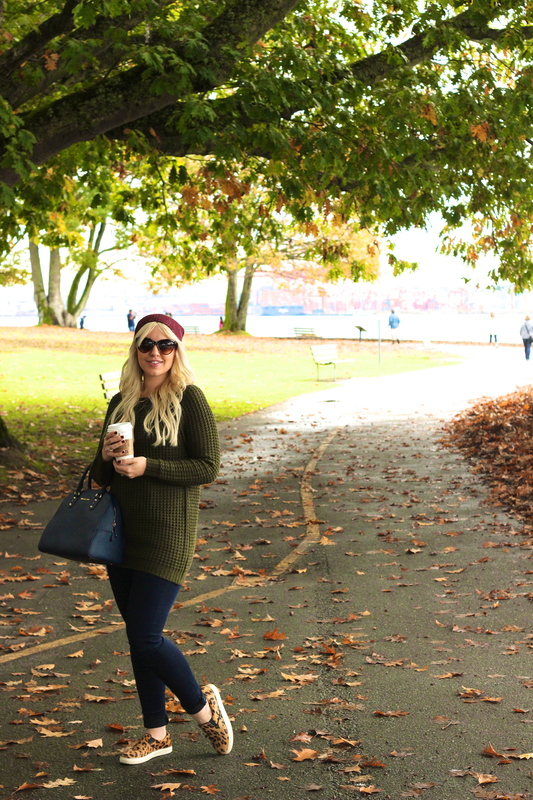 This beautiful location was in Stanley Park, right along the Seawall. We took a little family walk along here while on our trip. The beautiful old trees and piles of fall leaves were absolutely breathtaking! 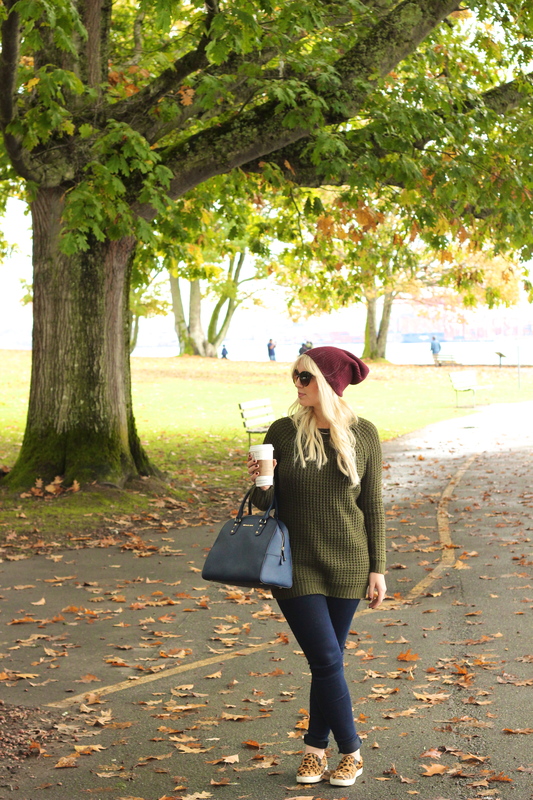 I will be posting some photos from our trip to Seattle and Vancouver on the blog this week. I added a few photos below of Addi and I on the same walk. As always I couldn’t resist matching with leopard shoes! So adorable all of the shots of Addilyn! 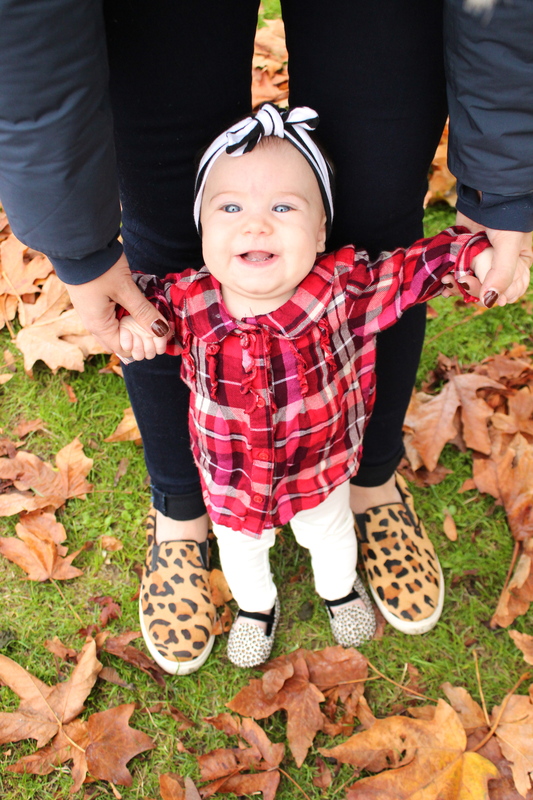 Love all the leopard and plaid going on. Totally cute!